This book's evidence and case studies, drawn from lives in disadvantaged communities, illustrate way of delivering innovative food practice that will be helpful to anyone concerned about the welfare of children, young people and families in those communities. 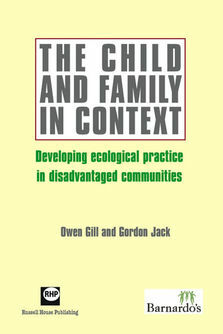 As valuable to readers who have some familiarity with the emerging concepts of 'ecological practice' as it will be those who may be new to the term, it focuses on the whole child, recognising the links between different parts of their lives, and working creatively with these connections. Such practice developments are especially timely in the UK in the context for Every Child Matters, Integrated Children's Centres and Extended Schools. The authors explore this context to draw out lessons that can inform practice everywhere, and in evolving policy contexts. 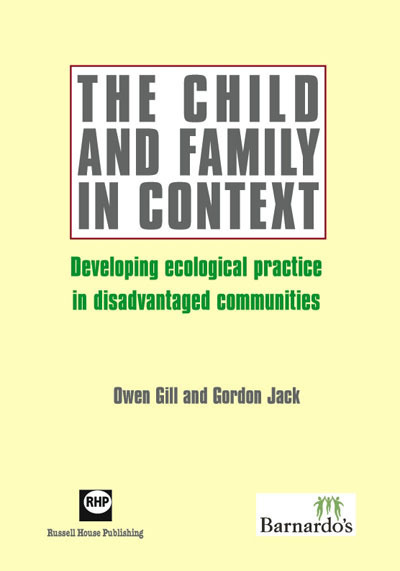 The approach is underpinned by full reference to the work over many years of research who have focused on the 'ecology' of childhood, in fields such as child development and mistreatment, you offending and child poverty. I this, the child is seen as part of a number of interconnected systems, including the family, social networks, schools, and the local community. Such thinking about children's lives has also underpinned recent frameworks for assessing the needs of children and young people, as well as major preventative and early intervention initiatives, such as Sure Start, the Children's Fund, and On Track. Anyone working with children and families in communities, plus lecturers, students and researchers in those areas of practice, which include: social work - school and community nursing - family support - education - youth work - child and adolescent psychiatry an psychology - community work - neighbourhood regeneration and planning - community safety - housing. Owen Gill has worked with families in a wide range of different settings, including rural and inner city communities. He is currently anti-poverty co-ordinator for Barnado's South West. Gordon Jack has been involved in social work practice and research with children and families and is currently Reader in Social Work at Durham University. Together, they are the authors of The Missing Side of the Triangle (Barnado's 2003).